A little bit of rain never hurt, it’s even beneficial in helping your garden bloom during spring and summer. A lot of rain, however, can be a reason to worry – it can cause serious damage to your home. It’s important to follow these guidelines to keep your household out of danger. Gutters: First, remove any debris or leaves from your gutters to allow your gutters to collect and funnel water from the roof away from your home. 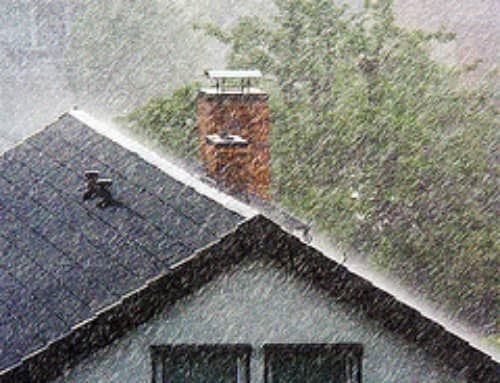 Clogged gutters will cause water to overflow resulting in all types of problems for your home. Also, check to make sure your gutters aren’t broken or leaking. Number one reason for water entering the crawlspace or basement of your home. Siding: Make sure that there are no areas of missing or separated caulking of the siding joints, especially around the trim areas of your home. Paint any areas that need to be sealed to prevent water intrusion and damage.